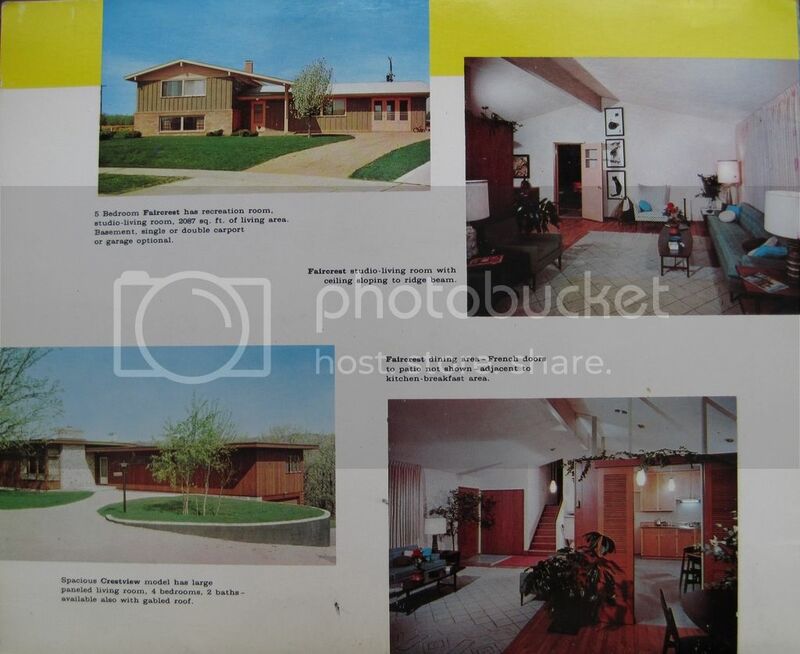 Creating a thread for new discussions and links to pre-outage threads about the Erdman Prefabs. 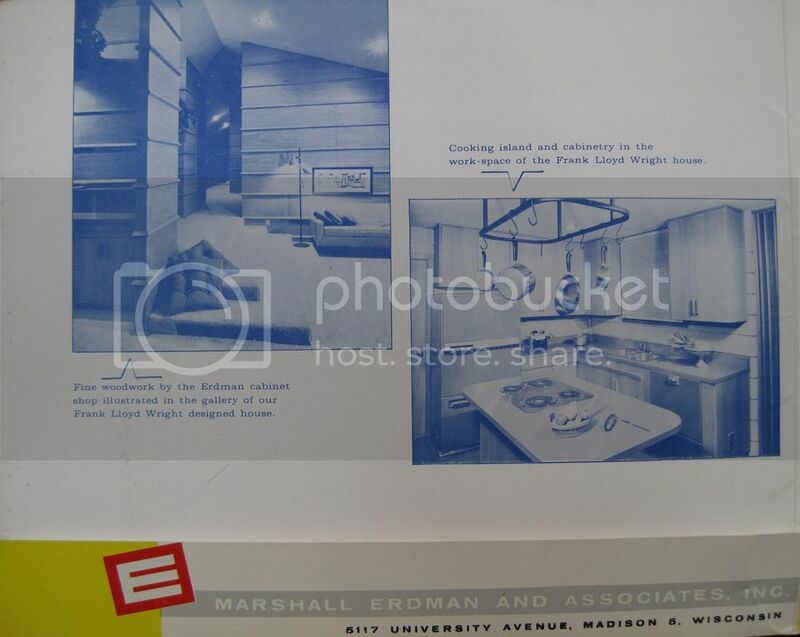 I obtained these marketing materials from the Erdman company in the 1960's, after they had discontinued the Wright models. Forest, many thanks for sharing these! I believe I had only seen the cover folder, maybe the first page of the brochure and nothing of the prospectus. This is great stuff! Wonderful. 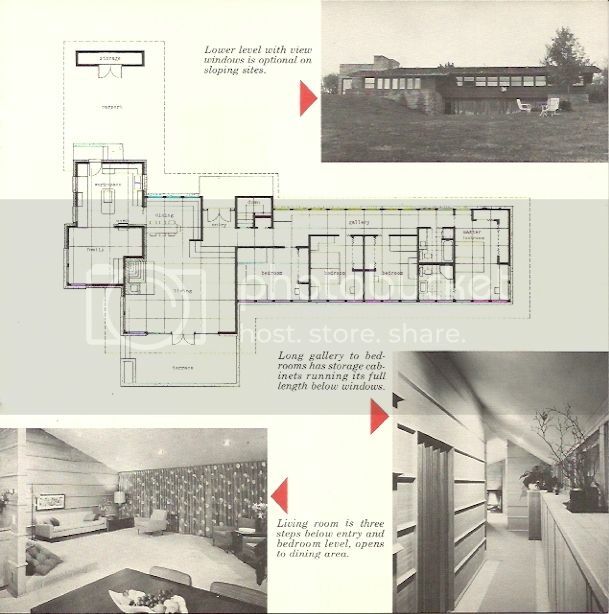 The Prospectus is a treasure; much of what constitutes the architect's approach to building is contained in it. 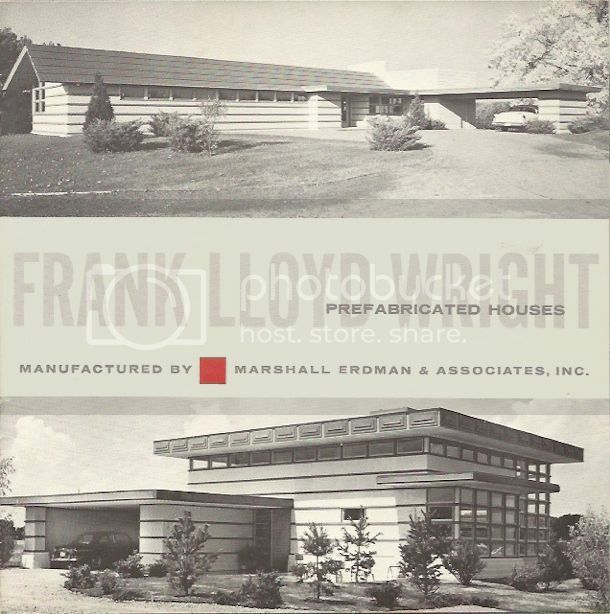 "Upon Completion" is a fitting conclusion to the adventure of building a Wright-designed home . . . 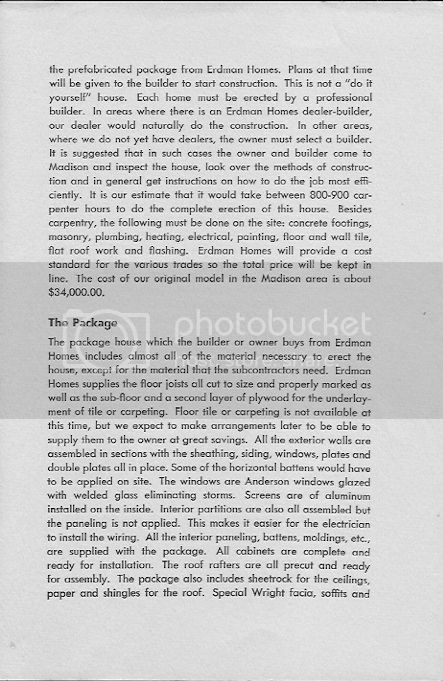 Odd that, among the materials listed in "The Package," roof rafters are mentioned but not roof sheathing. 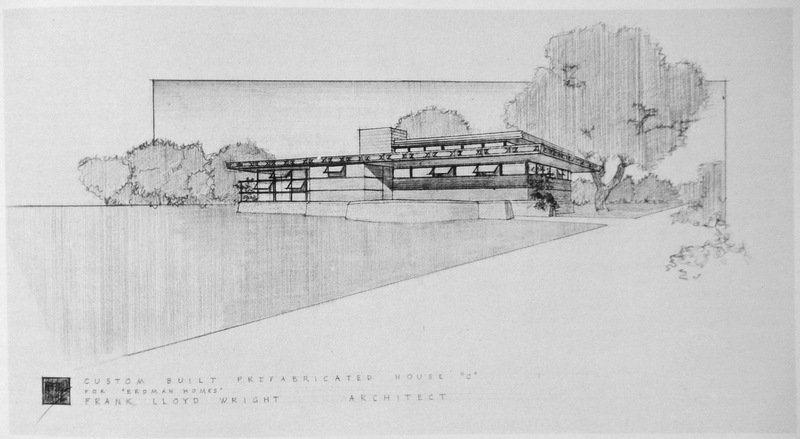 We know a Wright roof might occasionally fail to satisfy -- but that's a bad way to begin, isn't it ? Thanks for posting. 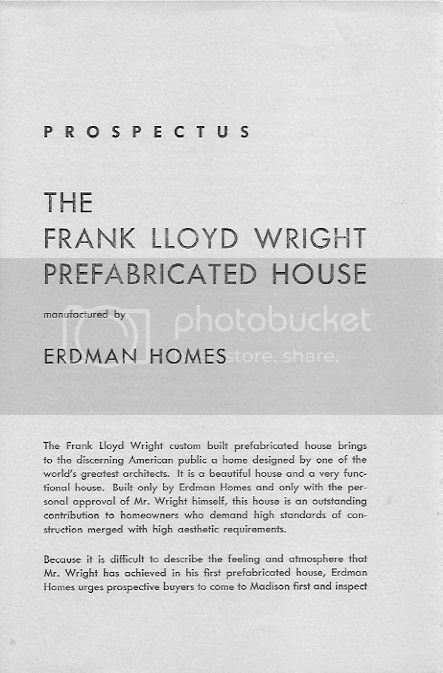 I've always thought the Erdman prefab was the dullest home Wright every designed...if in fact he designed it. 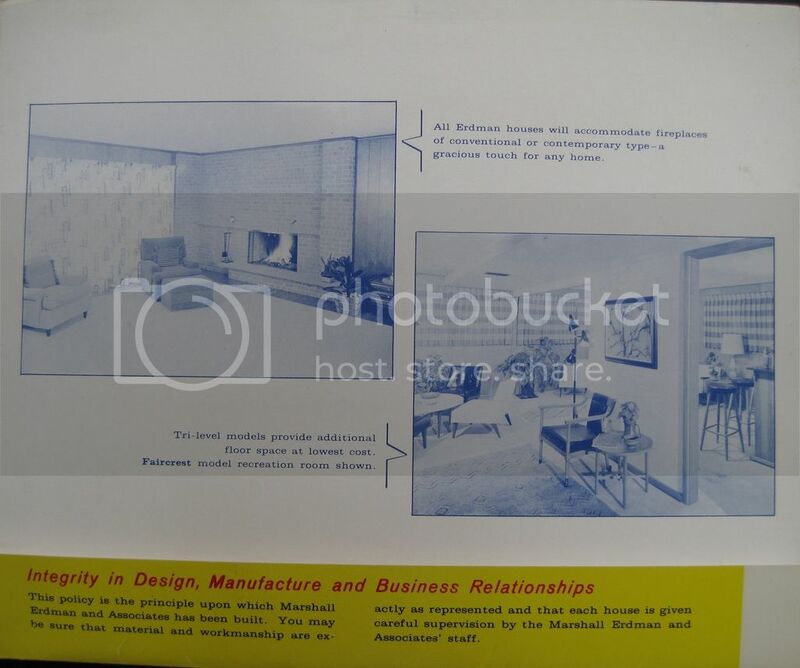 But there is a "Crestview" model in the brochure that seems much more interesting. 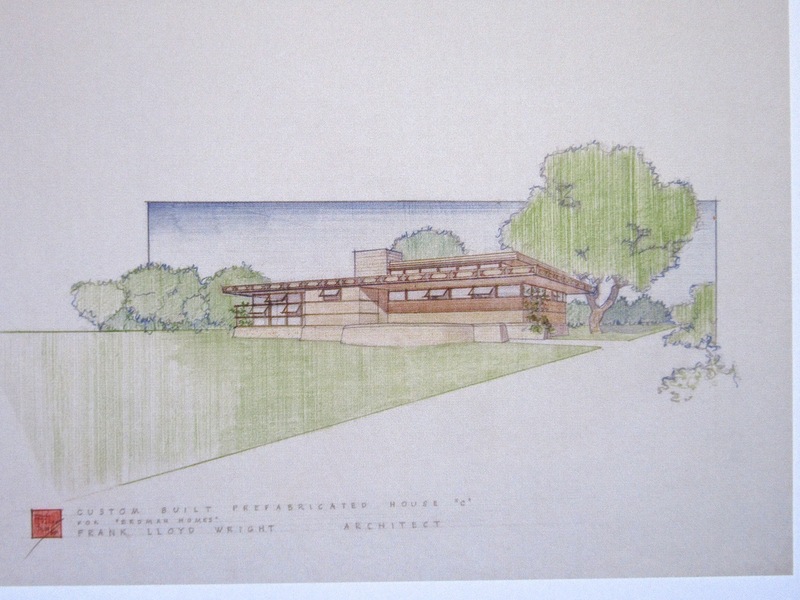 You do realize, Matt, that the Crestview model is not one of FLW's? 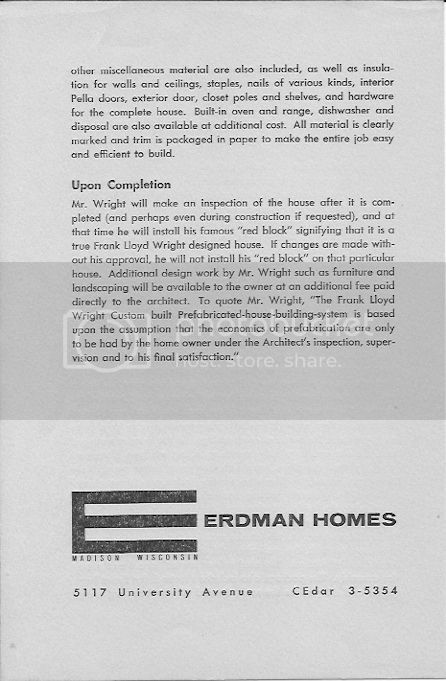 The Erdman Prefabs are a set of houses that must be experienced directly to be fully appreciated. 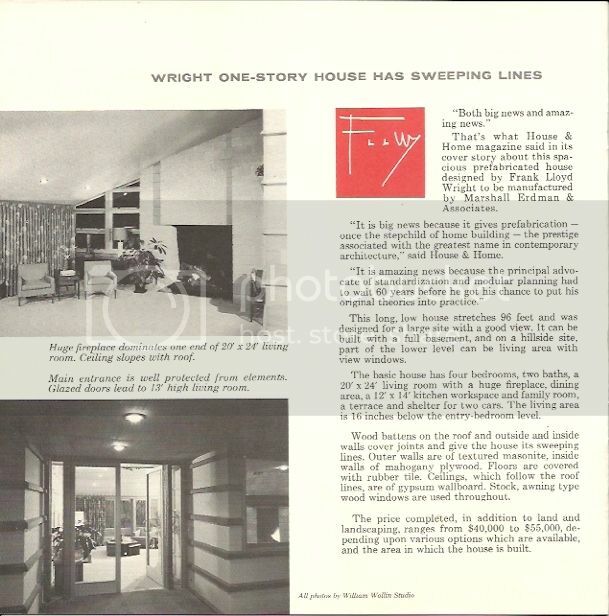 I have been in McBean, Mollica and Zaferiou, all of which are very charming, though less "Wrightian" than most of FLW's work. 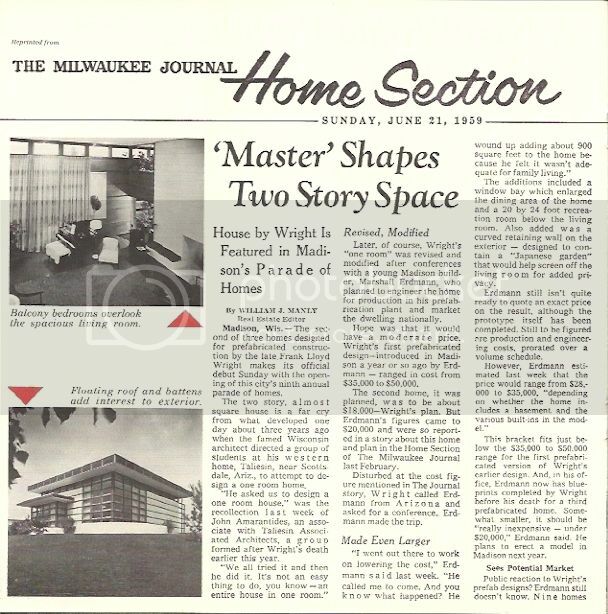 One disconcerting detail is scale, which is somewhat larger than what one familiar with FLW's work might expect, as a result of the scale of the Andersen Windows. 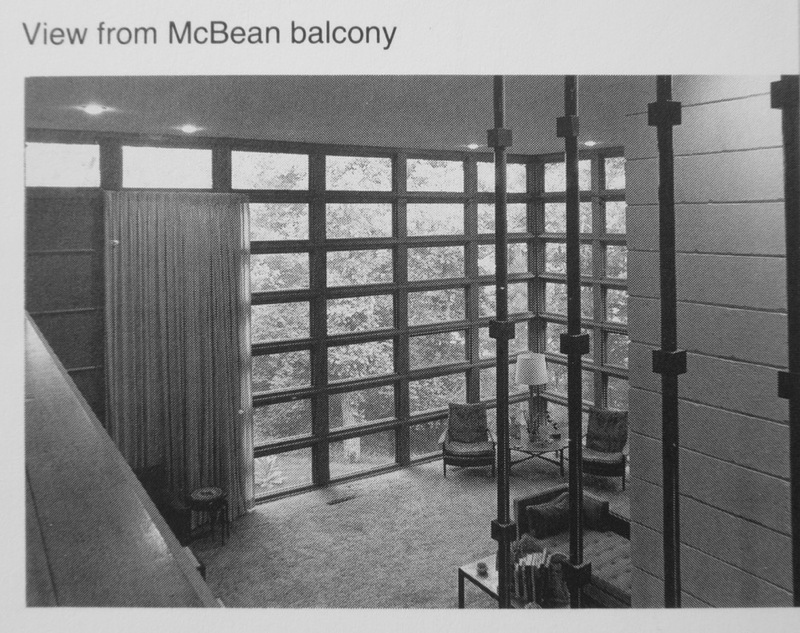 While the one-story versions are solidly within the MCM mode, the 2-story McBean House has more of the FLW magic inside. 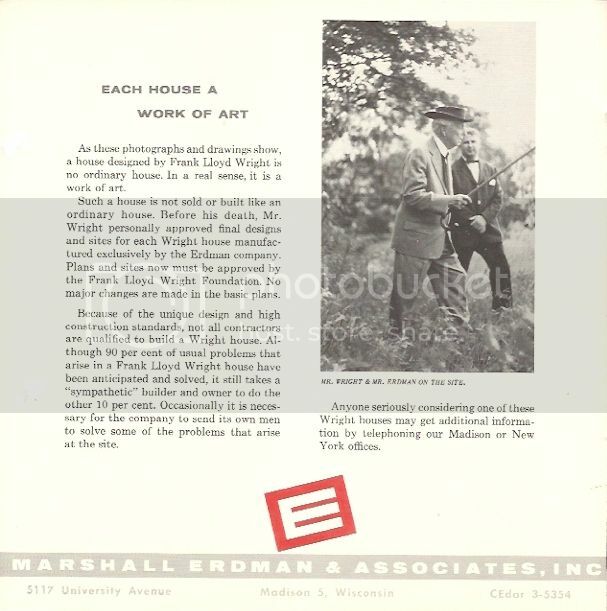 I agree with Roderick that the Erdman houses are best experienced in person. So far, I have only been inside one story models. 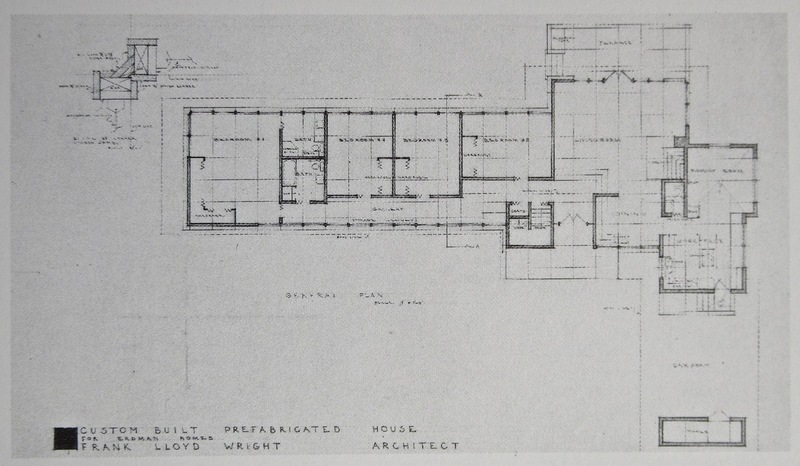 They are very pleasant, well appointed houses...a different vibe than Wright’s other work in proportion and detail, but quite good when judged on their own terms. 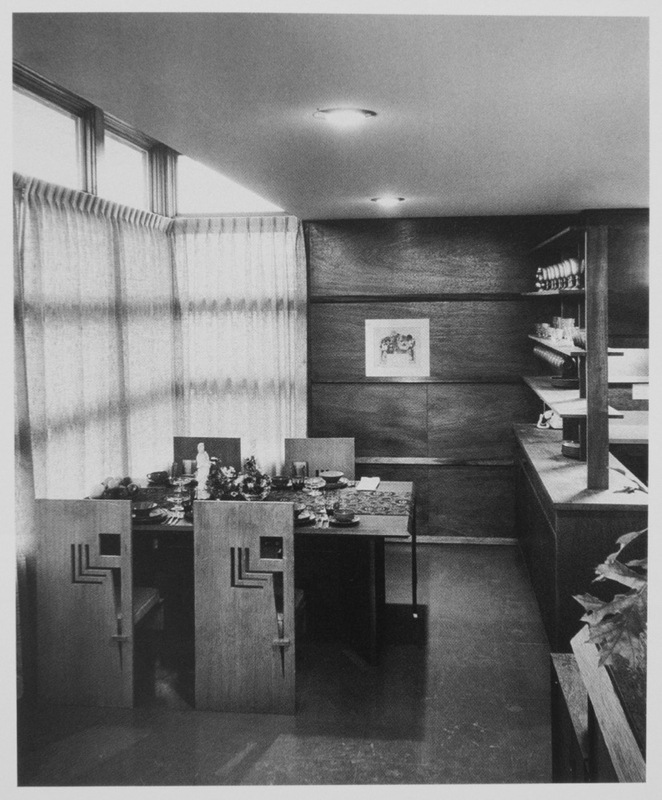 The two story Rudin house will be on the tours at the FLWBC Conference this Fall, I’m looking forward to seeing it. 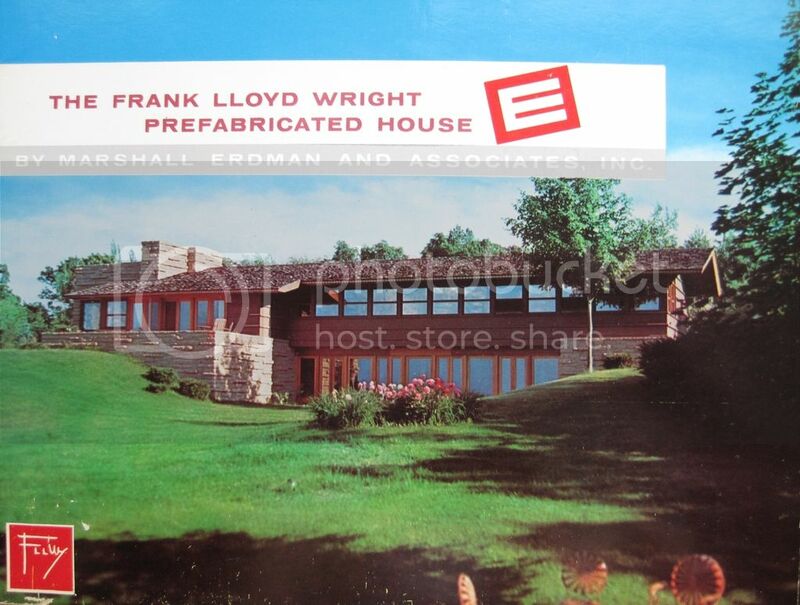 I assume that the Wright Erdman house we know is the only design he contributed. The Crestview design seems more spacially interesting to my eye. 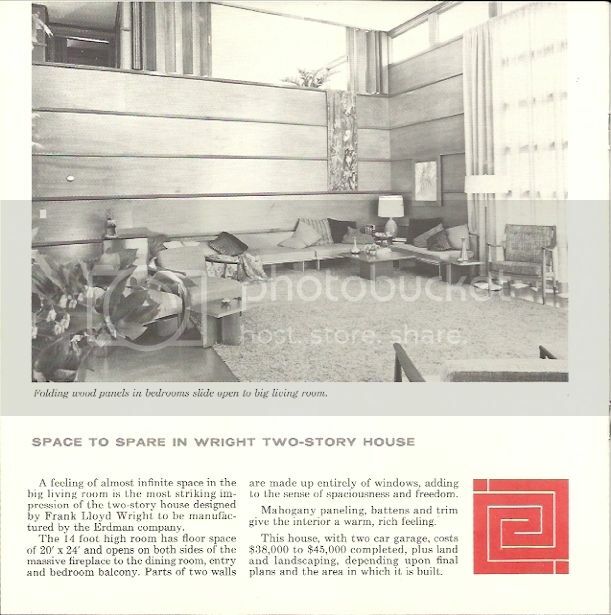 I don't know much about the Wright design other than it's a rather plane long box with little of the movements of his other designs. Perhaps this was a requirement of prefabrication? 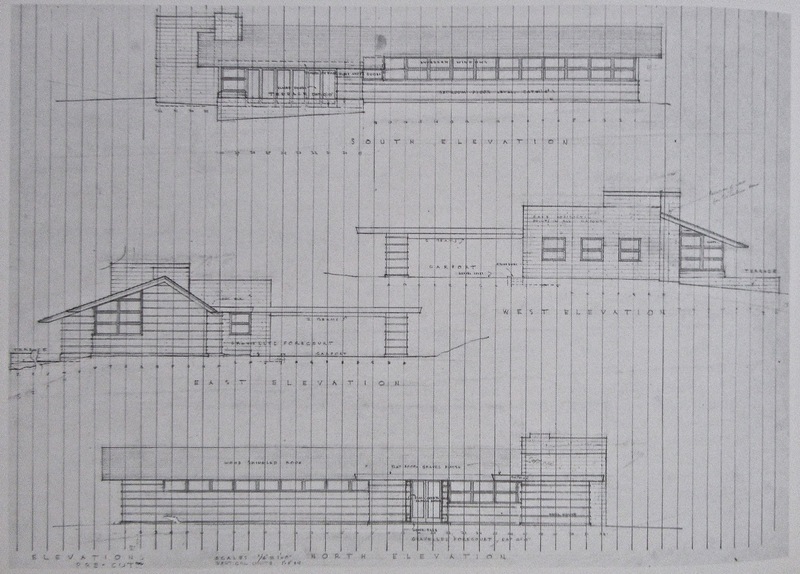 Let's look at the published Taliesin plans of the various Erdman types. 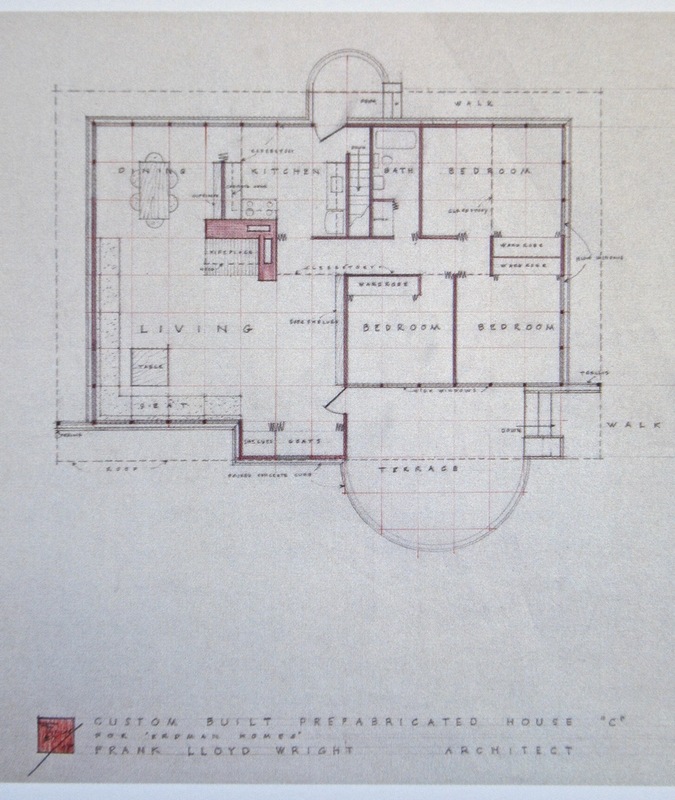 and 411 (Mollica and LaFond), it has a utility room added off the kitchen. 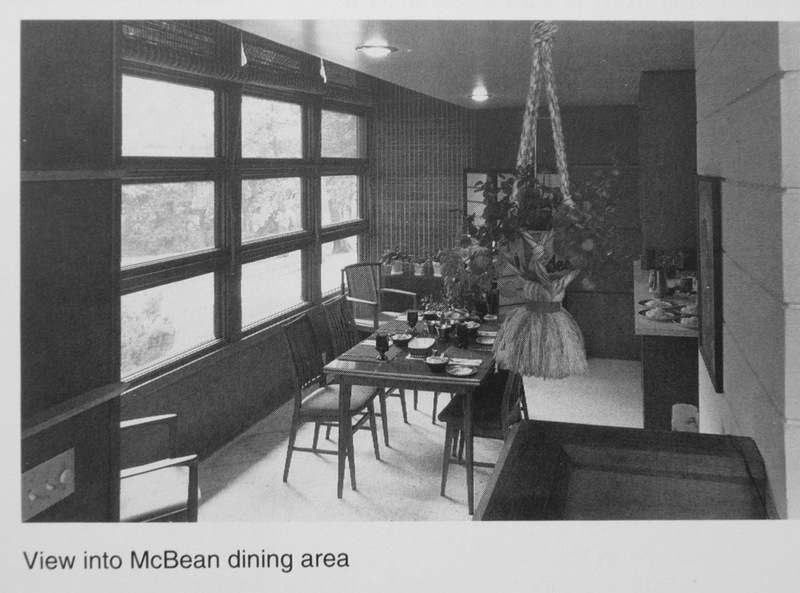 Taschen III (© 2009 by TASCHEN GmbH and by the Frank Lloyd Wright Foundation), p 445. 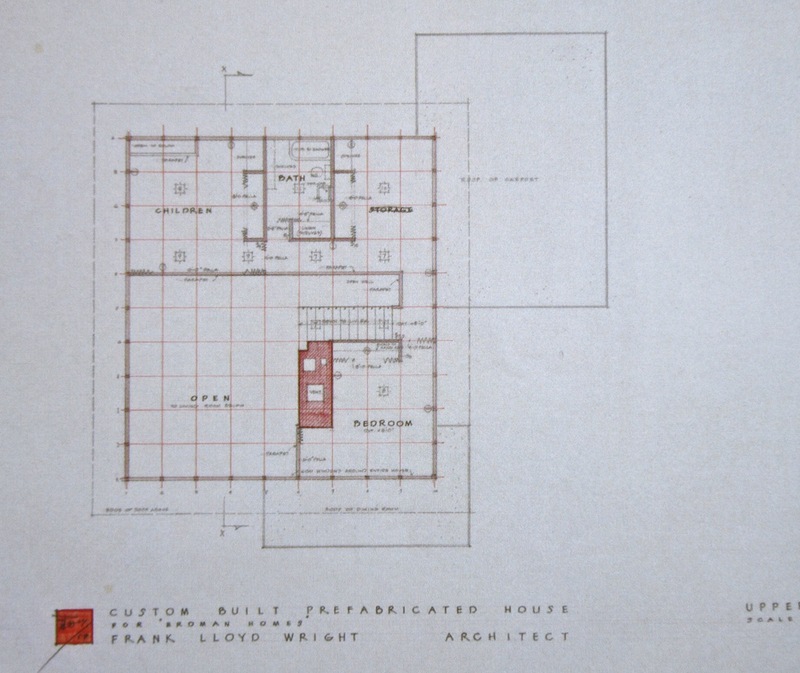 In Storrer this plan appears first in his series, S.406, as the Van Tamelen residence. 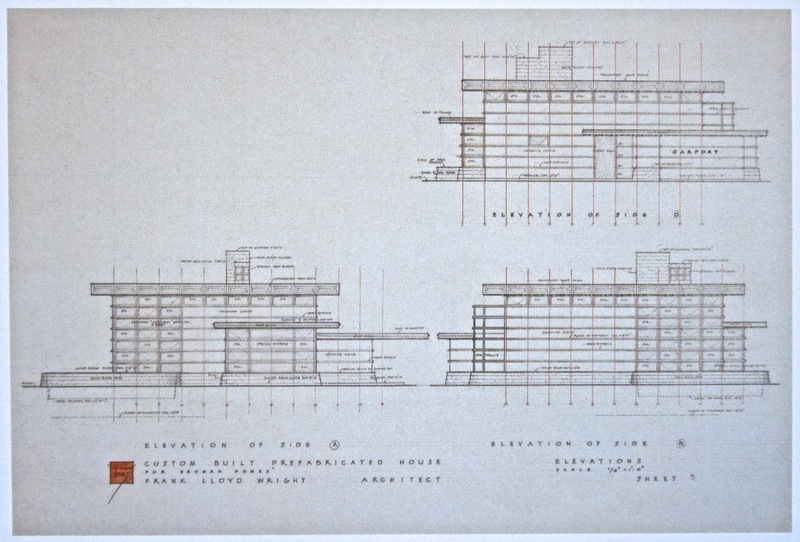 These elevations, found in the Monograph, belong to the Taschen plan immediately above. 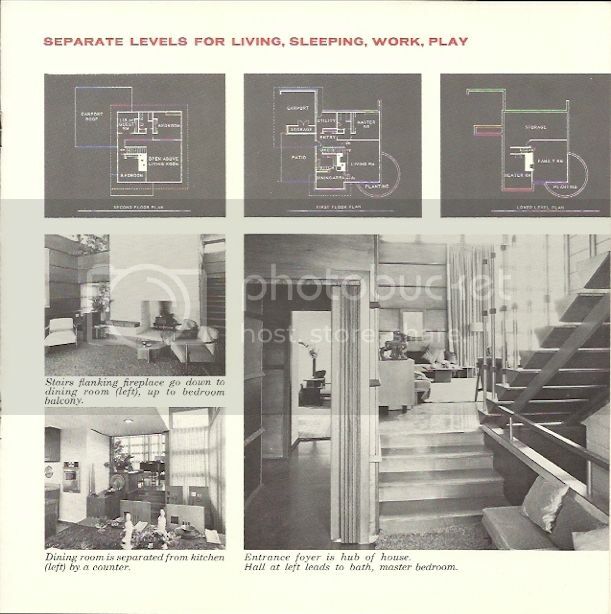 Taschen III (© 2009 by TASCHEN GmbH and by the Frank Lloyd Wright Foundation), pp 498-9. 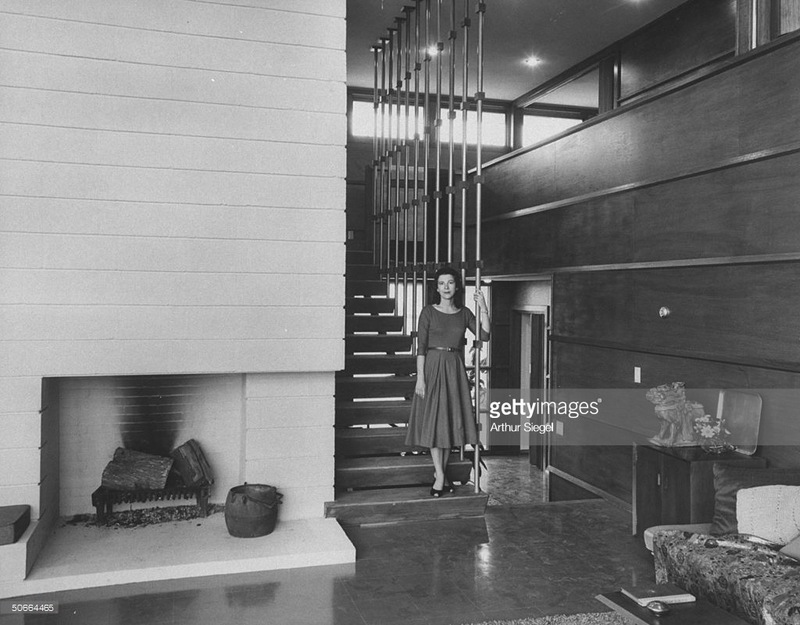 The fine Arthur Siegel interior of the Rudin house, with Iovanna, and three additional photos of the house by Siegel as found in Taschen III. 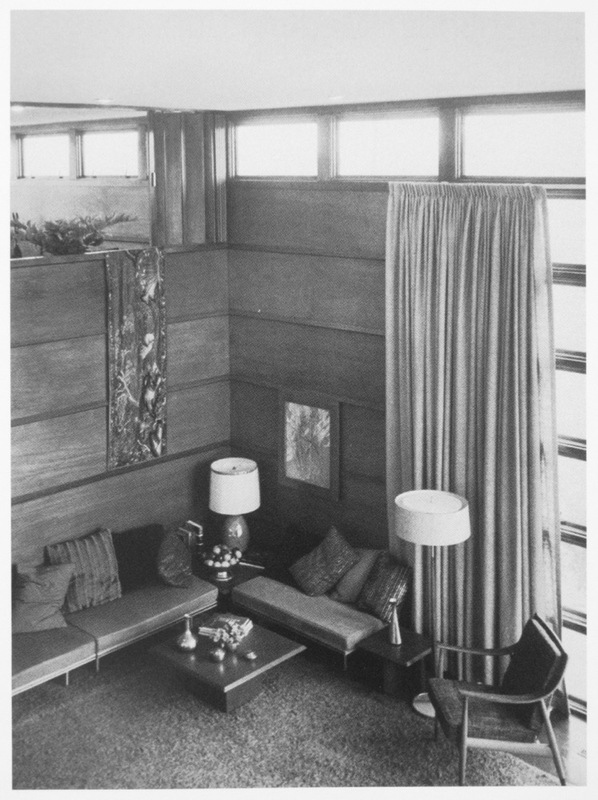 And interiors of the other built Erdman II, by William Allin Storrer. 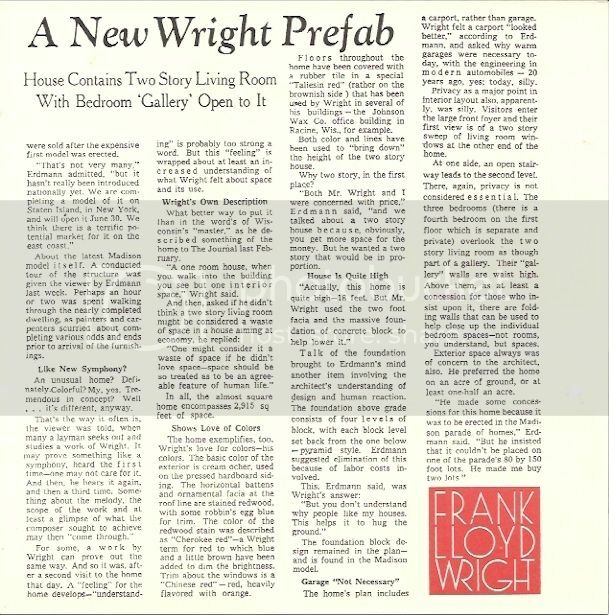 we find Wright proposing a simple, compact single-story suburban three-bedroom, one bath home, in layout not unlike any number of contemporary houses built in the postwar years in America. 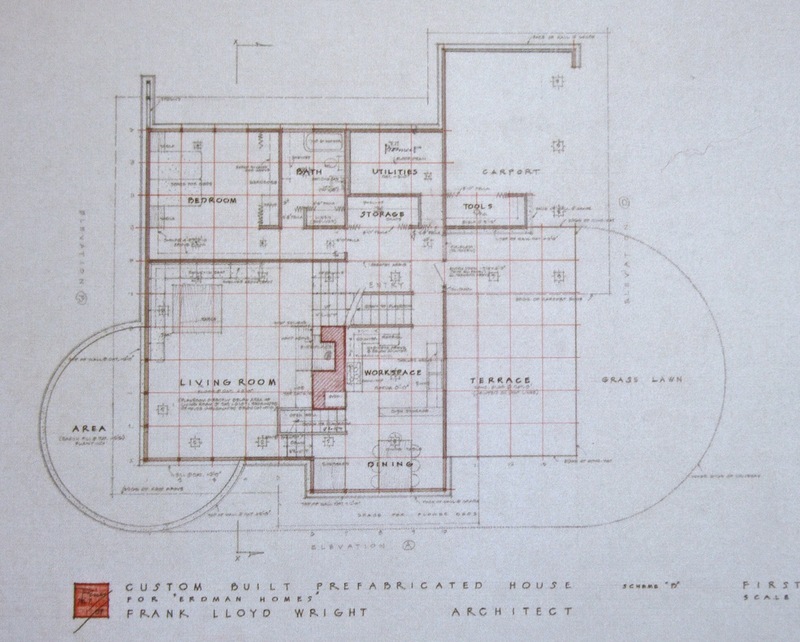 And he sums up his own search for the family home in this efficient plan, once more centering the main space with a chimney mass about which the living, dining, and kitchen functions pinwheel. 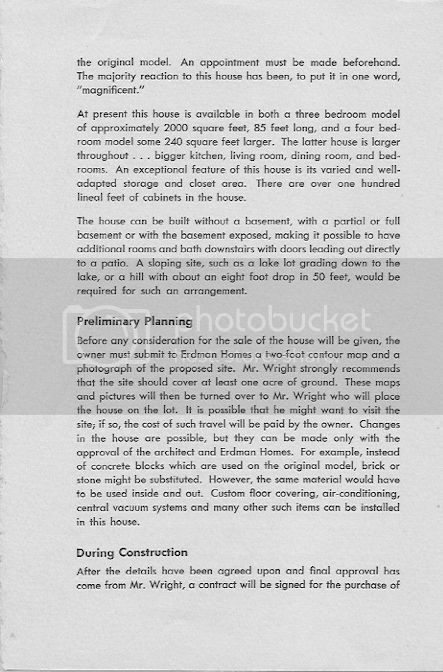 the perimeter of the interior ? 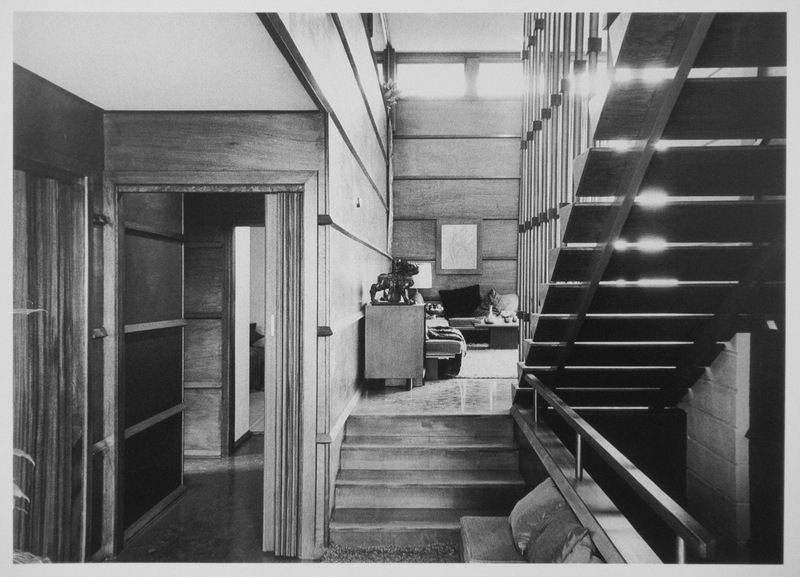 The elevations and perspective conceal the full height of the entry door . . .
Every interior door in the house is an accordion unit. 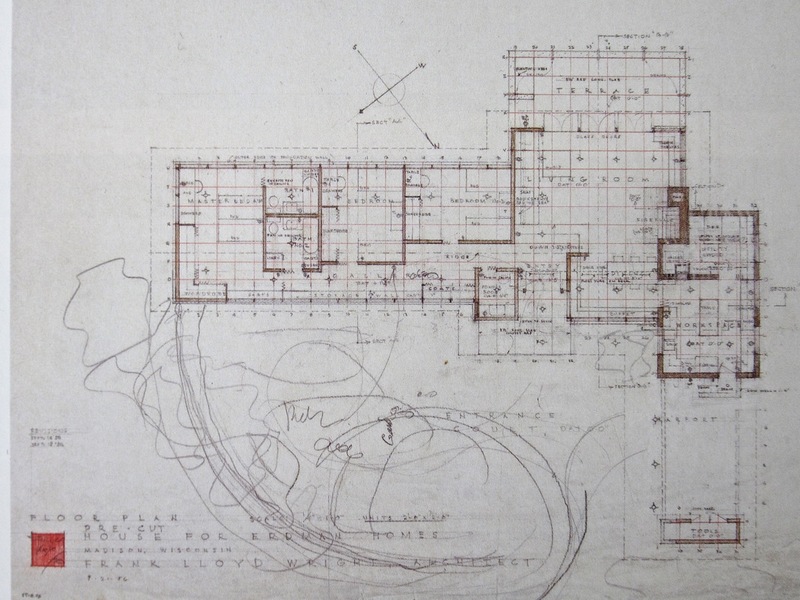 The creative architect always stays a step ahead of the competition -- right to the end ?